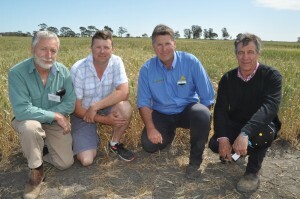 The South East West Wimmera Durum crop walk was held on 7th and 8th October with about 35 in attendance. The walk commenced with a barbeque lunch at the Jolpac trial site, Bordertown. Durum and bread wheats as well as seeding time trials were inspected here with the best plots at time of inspection being the ones which were seeded just before or at the break of season in first week of May. 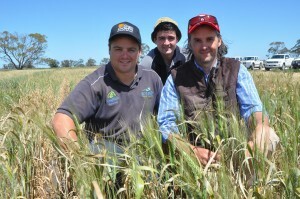 The group then ventured to Peter McLellan’s property near Wolseley where Felicity Turner from the McKillop Group is undertaking gross margin trial of Durum wheat versus bread wheat versus milling oats and barley. Despite it being a little early to tell, it appeared that the barley was going to be best because of the shorter growing season and drought conditions. The following day the group travelled across the border to Kaniva to the Dyer’s property to inspect the West Wimmera NVT trial site for Durum Wheat, bread wheat and barley. Rob Wheeler presented a very informative talk including up and coming varieties from each of the three different crop types in the trial. This site was severely moisture stressed which was favouring the shortest growing season varieties this year. 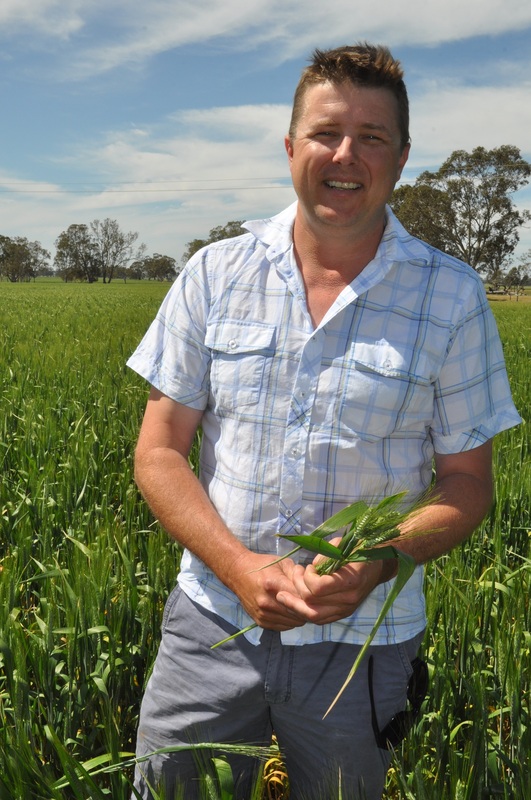 The Aurora durum looked okay with reasonable grain quality considering the season. Dr Jason Able then presented at his large trial of early generation S2 material and other lines of interest. The day concluded with a Barbeque at Dyer’s grain shed. The Durum growers sponsors were in attendance and presented a brief talk on their key interest areas of their company.